As technology has evolved over the years, many different industries have benefited. As prime examples, science and medicine have perhaps been at the forefront of the transition into the digital world. Not only have we seen more technology used in hospitals and saving lives, but there has also been a lot of work behind-the-scenes in laboratories. With this in mind, it has opened up a brand-new world allowing us to learn how to prevent illnesses, how to treat diseases, and how medical conditions can affect one another. Today, we’re focusing on the latter and the relationship between ADHD and sleep disorders. Often spotted and diagnosed during childhood, ADHD causes hyperactivity and certain disruptive behaviors in the patient which can have a direct impact on academic performance, work, and other areas of life. Due to uncontrollable impulses and urges, ADHD patients find it hard to stay in control, and this leads to a loss of concentration and focus. Every year, millions of children are affected, and some cases will continue into adulthood. Interestingly, the issue affects boys significantly more than girls; as both age though, it seems to level out, and the rates in adults are relatively equal. Despite the many advancements in technology, the causes of ADHD outside of neuro-chemical imbalances, are largely unknown even today. According to experts, the most likely cause is a combination of environmental factors and genetics. In addition to this, there isn’t a definite cure which makes the condition somewhat of a mystery for the most part. That being said, many have developed ‘treatments’ that lessen the effects and make the condition more bearable. In addition to having an impact on school and work life, people living with ADHD can also struggle to maintain relationships while also becoming more susceptible to ill mental health including depression, anxiety, and, as you may have guessed from the title, sleep disorders. Sleep issues associated with ADHD, such as restlessless, insomnia, and irregular sleep schedules, can often develop into full-fledge sleep disorders. These correlated symptoms solidify the link between ADHD and sleep disorders. For those who have ADHD, you’ll know that even thinking about going to sleep can cause anxiety. With nights disturbed by physical restlessness as well as constant mental activity, sleep can be a huge issue. However, the link between sleep disorders and ADHD was overlooked for a long time. For many years, the American Psychiatric Association suggested that all ADHD symptoms are made clear within the first seven years of life. Considering sleeping disorders commonly start at 12 years of age, the connection was never made. As the issue has become more prevalent, many studies have taken place and created the link, but the link between ADHD and sleep disorders hasn’t been made clear in all the literature currently available. That being said, patients are in no doubt their condition causes sleep disturbances, and four tend to stand out more than others. Even after falling asleep, the sleep can be restless and not what you would consider ‘quality’ of any kind. Waking up at the quietest noise and tossing/turning all night, bed partners often choose to sleep elsewhere on bad nights. With this issue, patients simply can’t ‘switch off’ at night, and this is said to affect up to 75% of all people with ADHD. With some, they even say they feel nocturnal because they receive a sudden burst of energy when the sun disappears (despite feeling tired for most of the day). There is statistical evidence that there is a connection between ADHD and sleep disorders: before puberty, up to 15% of children who have ADHD have sleeping problems – twice the amount compared to children with no ADHD. Thirdly, some sufferers have reported drowsiness as soon as they lose interest in a task. While active and interested, they feel ready to partake in whatever it is that has their attention. As soon as the interest has disappeared, this is where the trouble commences. According to some practices, up to 80% of people living with ADHD can have trouble waking up in the morning. Unfortunately, many awake every so often until around 4 a.m. before then struggling to wake up when the alarm goes just a couple of hours later. Although it still hasn’t been recognized by the appropriate bodies, sufferers and doctors alike know the relationship that now exists between ADHD and sleep disorders, and it’s one that requires treatment if any improvement is to be made. You may already know that sleep apnea is a breathing issue that actually affects over 22 million Americans in some form or another. However, what you may not know is that sleep apnea can be an early sign of diabetes developing within the body. This ultimately comes down to the concentration of oxygen within the bloodstream. Below, we’ve compiled all the details you need to know regarding type 2 diabetes and sleep apnea how presence of each disease affects the other. Firstly, this is a chronic condition that increases the blood glucose levels to unnatural highs. Over time, the body becomes immune to the effects of insulin or it fails to use the store your body offers and this leads to several consequences. At first, the pancreas will step in to make up for the extra insulin. However, this isn’t a sustainable solution and not enough insulin is produced to maintain natural levels. Unfortunately, the condition is actually largely preventable which means our lifestyles are to blame including obesity and history of the disease in the family. Also known as obstructive sleep apnea (OSA), this is a sleep disorder that directly affects the breathing during the night. With snoring and sudden wakefulness as the two main symptoms, OSA can actually lead to several health complications including heart disease and, of course, diabetes. In addition to this, it can impact people who are obese or have a history of the issue in the family, much like diabetes. Obesity and stress are the two most common causes of both type 2 diabetes and sleep apnea. Scientists have actually known about the correlation between type 2 diabetes and sleep apnea for three and a half decades. Proving a significant percentage of diabetics also suffered from sleep breathing disorders, interest grew and we’ve been learning more about the relationship ever since. According to the Center for Disease Control and Prevention, nearly 26 million people suffer from diabetes with up to 95% of these people having the type 2 variety. Of this huge number, 7 in every 10 also have OSA and one study even suggested a total of 72%, which is significant. Why? Most commonly, the issue starts with sleep apnea. A certain percentage of people don’t manage this condition very well, making it very difficult for our bodies to control the blood sugar levels. As the condition gets worse and we still don’t manage sleep apnea effectively, type 2 diabetes and sleep apnea will both cause more complications as a result. In addition to this, there’s also a link between the two with excess stress and body fat. When we wake up during the night due to sleep apnea, this causes frustration and stress because we aren’t able to relax before we fall asleep (knowing it will come during the night), leaving us feeling tired the next day. With this interrupted sleep, our bodies are strained beyond comfortable levels and this will further increase blood sugar levels. As we saw previously, obesity is commonly involved in both these issues. For people who are overweight and develop sleep apnea, any excess fat around the neck will actually obstruct the airways and exacerbate the problem. Overnight, your breathing will be interrupted further and this leads to less sleep and increased stress. In turn, this causes a higher risk for both type 2 diabetes and sleep apnea. With this in mind, can it work the other way where diabetes causes sleep apnea? Ultimately, people with diabetes tend to have poorer sleep than most anyway and this is because the high glucose levels lead to the kidneys excreting excess sugar during the night. In addition to this, diabetes sufferers can struggle with leptin resistance which depresses the respiratory function and causes a destabilization in breathing patterns. For this reason, people with either condition will automatically be checked for the other because they’re so closely related. As one occurs, it will lead to the other, with each disease causing a positive feedback loop in the other, and your body will continue on a negative spiral until treated. All things considered, the best solution to both problems will always be careful management after diagnosis. With OSA, the doctor is likely to recommend a CPAP machine while type 2 diabetes needs to be controlled via blood glucose levels and diet, exercise, and injections (if necessary). Thanks to a recent study at the University of Chicago, we actually know that CPAP machines can reduce blood glucose levels which cuts off this negative spiral and prevents the conditions from worsening. Characterized as either excessive amounts of time spent tired or asleep during the day, hypersomnia affects around 0.5% of Americans each and every year. Although this doesn’t sound like a huge amount, it accounts for 1.6 million people and this is only the number that seek treatment (the amount who don’t seek medical treatment is thought to be significant). In fact, the National Sleep Foundation believes 40% of us to experience the symptoms of hypersomnia to some degree. In terms of the health condition itself, the sufferers have trouble staying awake through the day whether it’s at work, at home, or even while driving. While the problem is purely related to sleep, it has all sorts of side-effects such as a lack of energy and trouble concentrating on even simple tasks. When looking for causes, it’s hard to look past two other sleep conditions; narcolepsy and sleep apnea. While the former is related to daytime sleepiness once again, the latter deals with interruptions within the normal breathing patterns as you sleep. Both of these issues lead to hypersomnia and make it hard to stay awake during daylight. With so many different causes, it’s important to see a medical professional who can assess the issue and ask the right questions. While the internet and fantastic guides like this can give you an overview, we can’t provide you with personalized advice. In truth, your hypersomnia could be a combination of these causes. 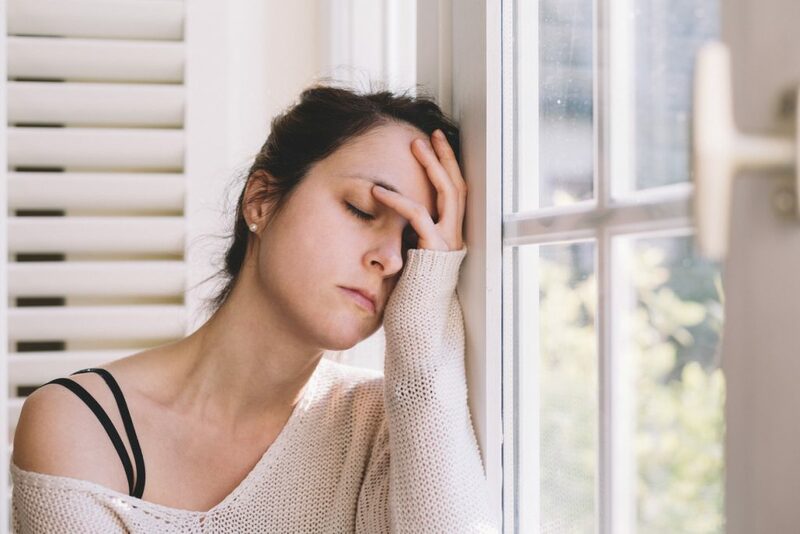 Hypersomnia can be caused by many different issues so it’s important for a healthcare professional to assess what they are and provide you with the treatment you need. When you first spot the pattern of drowsiness throughout the day, this is where your doctor should come in. Initially, they’ll discuss your personal life, including your sleeping habits, to get a better idea of why this might be happening. In addition to your sleep, they might also ask whether you’ve been through a stressful situation recently or whether you’re currently taking any drugs (prescription or otherwise). If they can pinpoint the issue immediately, they’ll start working towards a solution as soon as possible. If not, they may take blood tests, a CT scan, and even a polysomnography; this is a sleep test where your brain waves are measured alongside your heart rate, breathing, and oxygen levels within the blood. If necessary, an EEG (electroencephalogram) could examine your electrical brain activity. Depending on the cause, the doctor will take appropriate steps as a solution and this could involve stimulants, Provigil, Xyrem, or antidepressants. As mentioned, the applicable treatment will entirely depend on the issue. 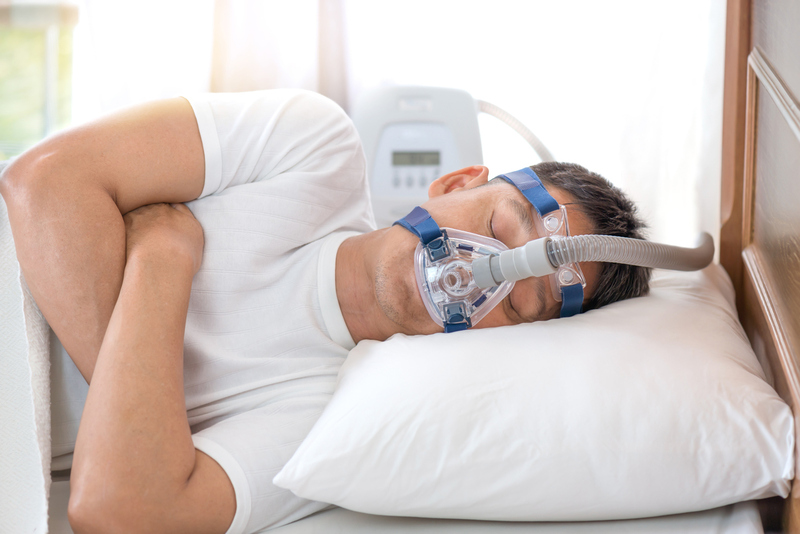 Sleep apnea, for example, may require a CPAP (continuous positive airway pressure). With this treatment, you’ll wear a small mask over your face and this goes directly into a machine. Through the night, you’ll be provided with a flow of air to the nostrils which counteracts the condition. As the air flows into the nostrils, it keeps the airways open and you shouldn’t wake up in the night. If you’ve been offered medication in the past and this didn’t work, don’t worry because they can switch your dosage or try a different solution. Sometimes, people need a heavier dose or a slightly different drug if the first didn’t have the intended reaction within the body. Often, people try medication once, feel disappointed with the results, and then forget the doctor altogether but this doesn’t have to be the case. As we’ve seen, hypersomnia can also be caused by weight issues and a lack of sleep at night; sometimes, we get into the habit of staying up until 2am before the alarm then goes off for work at 6am. Although we all need different levels of sleep to operate, a sleep pattern of this nature won’t do any good at all. If your issue is one of these two causes, your doctor will recommend an adjustment to your lifestyle. Once again, it all depends on the cause but your solution might be a reduction in caffeine, more sleep at night, a diet to lose weight, less alcohol, etc. If you’re currently suffering from hypersomnia, be sure to get medical attention because you don’t want to self-diagnose and then choose the wrong treatment. Instead, get assessed and have yourself back up to full health as soon as possible! A good amount of sleep before surgery can reduce postoperative pain. 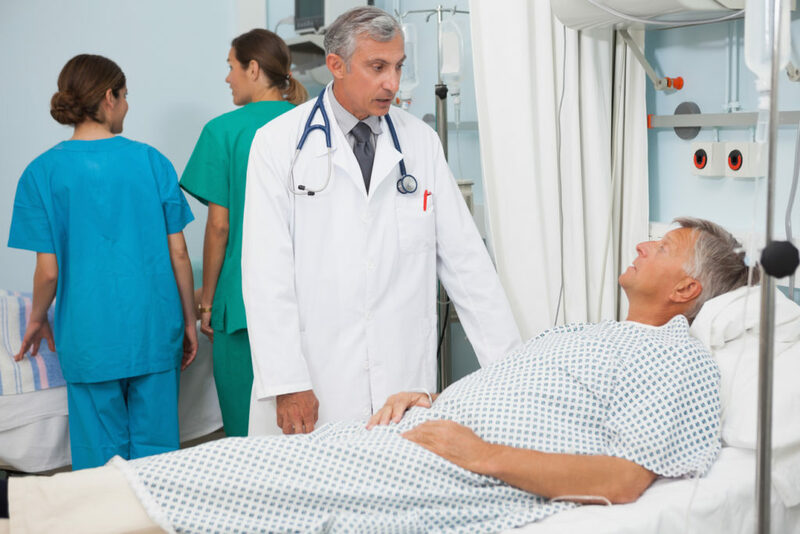 While surgery is necessary to prevent a condition, illness, or injury from getting worse, it still doesn’t make it any easier dealing with the pain that comes afterward. Postoperative pain can sometimes feel unbearable. Medications are able to reduce the pain but you’ll need all the help you can get to make the recovery process less stressful. You’re probably wondering what other options are available. Well, if the University of Michigan’s Department of Anesthesiology is to be believed, a good night’s sleep and caffeine can make the pain go away. Sleep is always a major factor when it comes to how your body recovers. Let’s find out what how postoperative pain is affected by your sleep quality. To understand the dangers of sleep loss, let’s look at the impact it can have on your body. A lack of sleep, over a long period of time, can lead to a series of health problems. Sleep deprivation has long been associated with heart conditions like heart disease, heart attack, stroke, heart failure and more. Many sleep disorders are also known to put you at risk for stroke and diabetes. Another part of the body that sleep loss can target is the mind. Sleep conditions like insomnia can put a tremendous amount of stress on the brain. Depression, anxiety, and stress are not uncommon among patients dealing with this condition. Sleep is also critical to your brain’s ability to process information. When people sleep normally, the mind is able to process our experiences into memories. The less sleep one receives, the harder it is for them to think, learn, and recall crucial information. While drinking caffeinated beverages is not the same as going to sleep, it can mimic its effects on our body. When we receive proper sleep, the body feels energize and no longer crave more sleep. The same effect happens with caffeine. A sleep inducer known as adenosine has no effect when the body has caffeine in its system. The body feels awake and focused, which is why many people choose to drink coffee in the morning. Using test rats, the team sought to see the effects of sleep deprivation before surgery on postoperative pain, and how caffeine affects postoperative pain. Their hypothesis was right. The rats who didn’t receive enough sleep experienced more pain after surgery. Even worse, their recovery times took longer than it should have. However, the results were completely different for the rats that had caffeine in their system after surgery. “The effect of sleep deprivation on pain sensitivity in operated and intact rats was virtually eliminated by pharmacologically blocking the action of adenosine in a brain region in the anterior hypothalamus known to regulate sleep, which is connected to major pain-related areas,” Dr. Vanini says. “Caffeine blocked the increase in surgical pain caused by previous sleep loss,” Vanini says. “Surprisingly, the data showed that this is not due to caffeine’s analgesic properties. Don’t sacrifice sleep quality while using your phone. It’s not just New York City that never sleeps anymore. With the rise of smartphones and digital devices, it seems the whole world is up 24/7. 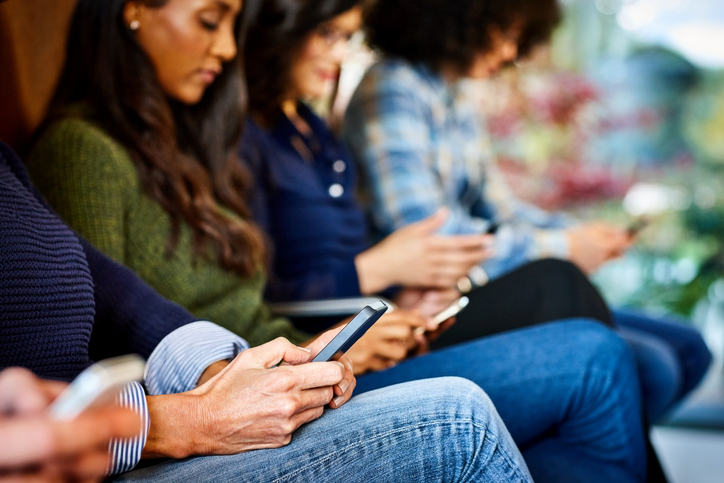 As a society, we seem to be addicted to the always connected nature of digital technology. But what effect does this behavior have on our sleep? It turns out that using technology right before we go to bed is contributing to the high prevalence of reported sleep dysfunction and poor sleep quality. What’s the last thing you remember doing before you went to bed? There’s a good chance you were up all night, lying in bed, scrolling through your social media feed with the lights off. Sometimes we are a slave to our phones and tablet. Analytics firm Flurry confirms that we spend almost 5 hours a day on our mobile devices. This is a significant increase from the amount of time we spent on our devices a couple of years ago. The evolution of how we consume media is beginning to show drastic consequences. Researchers at the University of Houston looked into the effect of artificial light generated from smartphones, tablets, and televisions. What they found is that this ‘blue light’ contributes to poor sleep quality and the development of sleep dysfunctions. Over a period of two weeks, researchers had several participants, ages 17-42, wear short wavelength-blocking glasses for three hours before bedtime. During that time, the subjects were allowed to continue their daily routine as they normally would. Researchers found a 58 percent increase in their night time melatonin levels. Melatonin is a hormone that is produced by the brain. It helps control when we go to sleep and when we wake. Melatonin is heavily influenced by the amount of light we are exposed to. When the sun goes down, melatonin goes up. As the sun rises, the level of melatonin produced our brain decreases. This process controls our natural sleep-wake cycle. “By using blue blocking glasses, we are decreasing input to the photoreceptors, so we can improve sleep and still continue to use our devices. That’s nice because we can still be productive at night,” Ostrin said. The blue light generated by our phones and devices is similar to the light from the sun. So, as we are using our phones or watching television before we sleep, our melatonin levels decrease. Our sleep-wake cycle is completely thrown off. Exposure to sunlight, or blue light, activates intrinsically photosensitive retinal ganglion cells (ipRGCs). This neuron is found in the retina and suppresses melatonin. Instead of preparing to rest, our body is alert and awake. “The most important takeaway is that blue light at night time really does decrease sleep quality. Sleep is very important for the regeneration of many functions in our body,” says Dr. Ostrin. While some of us feel like we can’t live without our phones, it’s important to spend some time away from them. You’ll find that your ability to fall asleep faster, sleep better, and sleep longer increases dramatically. 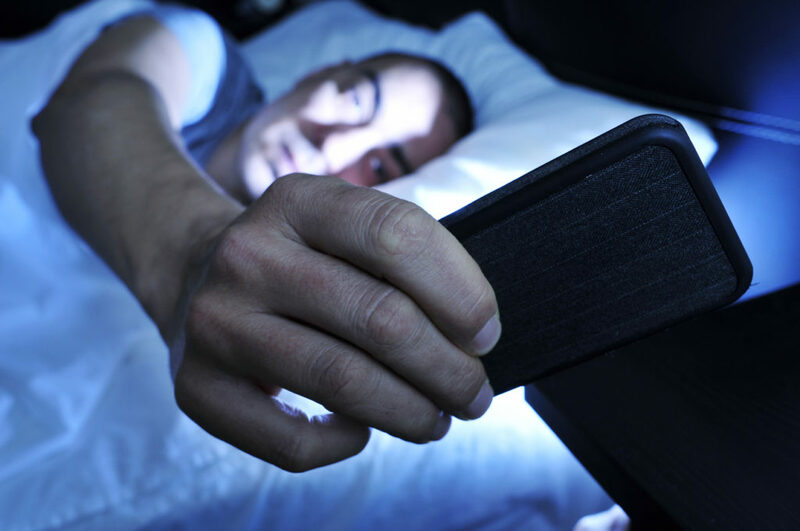 There are some other methods you can apply if still want to use your phone at night. Most phones have a neat little feature call night time mode. This decreases the amount of blue light your device produces. You can also apply screen filters that block blue light or use glasses with anti-reflective lenses. Either way, you should find a way sleep better. Sleep deprivation can lead to a series of fatal diseases. Disorders like sleep apnea can lead to obesity, diabetes, heart disease and more. Take control of your sleep health early in order to stay happy and healthy. Pregnancy and restless leg syndrome is more common than you think. You’ve probably heard of restless leg syndrome (RLS) before. It’s a condition where you feel an uncontrollable need to move your leg. This can be due to unpleasantness or even a feeling of being uncomfortable. 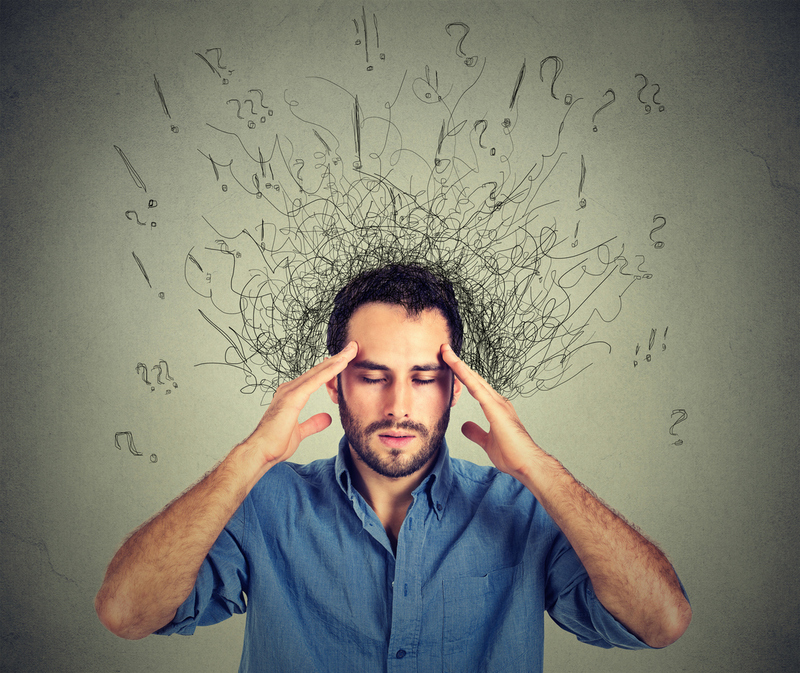 While this disorder can seem like a minor inconvenience, it can have impactful consequences. The Centers for Disease Control (CDC) even classifies restless leg syndrome as an essential sleeping disorder. Why Is Restless Leg Syndrome Classified as a Key Sleeping Disorder? Recently, a study even looked into the link between RLS and pregnant women to find out the effect it has on one’s quality of sleep. The researchers discovered that the disorder is strongly associated with poor sleep quality, excessive daytime sleepiness, and poor daytime function in pregnant women. It’s common for women in their third trimester to have restless sleep syndrome with moderate to severe symptoms. In fact, the American Academy of Sleep Medicine found this to be the case with 36 percent of pregnant women. These women were also twice as likely to experience symptoms of sleep-wake disturbances and daytime sleepiness. The study looked at 1,563 pregnant women with an average age of 30 years, all in their third trimester. The researchers monitored their symptoms and gave them a sleep questionnaire to determine their status. Thankfully, they also determined that RLS had no adverse effect on the delivery process. However, researchers are afraid that doctors and other health care providers will dismiss sleep symptoms simply because women are pregnant. “These sleep-wake disturbances are considered common symptoms in pregnancy and are frequently attributed to physiological changes that occur in normal pregnancy, but our data suggest that RLS is an additional contributor to these symptoms,” said Dunietz. RLS usually goes away once pregnancy is over. The problem is dealing with the disorder during pregnancy. Some suggest that lifestyle changes, decreasing the use of caffeine, and regular exercise might help. Other methods for treating restless leg syndrome include leg massages, good sleeping habits, and hot baths. If you feel you have restless leg syndrome, talk to an otolaryngologist today. Staying healthy as an older adult calls for deep sleep. Growing older is always an adjustment as the human body’s needs tend to change. Also, the elderly is more susceptible to debilitating conditions, like wakefulness and the inability to sleep. It doesn’t matter what age you are. Sleep is always necessary. In fact, a recent study at the University of California – Berkeley found that deep sleep can fight off mental and physical ailments, keeping the body effectively younger. 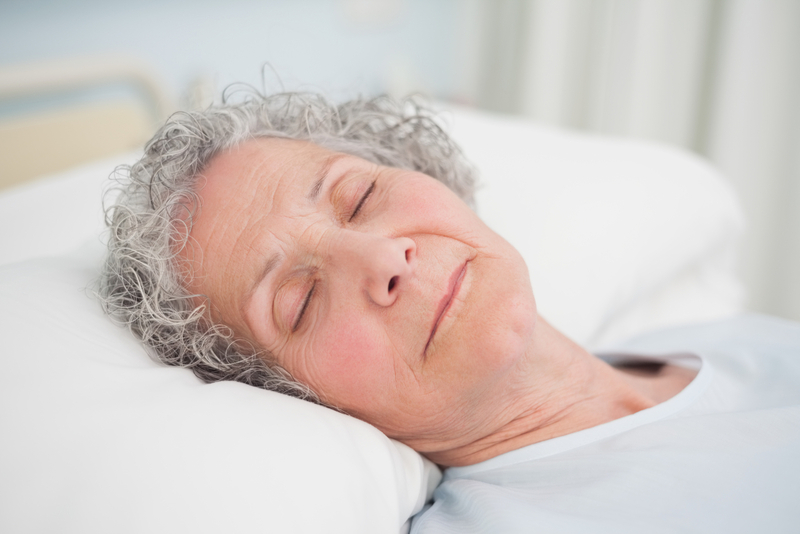 Do Older Adults Need Sleep? Teenagers and children require more sleep than adults. The CDC even recommends that adolescents should receive 8-10 hours and school-aged children should be getting 9 to 12 hours a night. For adults, 18 and older only, the CDC suggest 7 or more hours of sleep per night. However, that doesn’t mean they don’t need it at all. Sleep is critical for anyone. When you put your sleep health in jeopardy, your body reacts accordingly. What Happens When You Don’t Receive Enough Deep Sleep? According to the researchers at UC Berkeley, quality sleep is important for the elderly. The scientists linked Alzheimer’s disease, heart disease, obesity, diabetes and stroke in the elderly to a lack of sleep. Other studies show that poor sleep can cause older adults cognitive functions to weaken. Furthermore, adults start to experience inadequate sleep around their 30s. By the time these people age, their lack of sleep will affect their health more and more. Modern medicine has come far, but it cannot replace natural sleep. The researchers at UC Berkeley state that pills used to aid sleep do not provide the same benefits as regular deep sleep. The brain needs deep sleep to replenish most of its functions. It is hard for older adults to sleep naturally because of a change in their brain chemistry. The brain doesn’t produce the necessary waves that promote deep curative sleep. Also, the elderly receives less of the neurochemicals that grant us the ability to switch from sleep to wakefulness effectively. Hopefully, the researchers and doctors looking into sleep can find a way to improve the quality sleep health in older adults. This research will help prevent cognitive issues and prevent developing diseases in the future. Sleep disturbance can weaken bone development. It always seems like sleep escapes us, and when we don’t receive enough this can negatively affect our health. Sleep disturbance has long been associated with the development of harmful conditions. While a lack of sleep can seem like no big deal, depriving yourself of the proper amount will only make things worse. Some researchers are still discovering links between certain diseases and a lack of sleep. Recently, the University of Colorado found that prolonged sleep disturbance can lead to lower bone formation. Our bones are the structure of our body, giving us shape and supporting mobility. They also provide a variety of benefits that most are unaware of. For example, the bones produce blood that the body uses and they protect the internal organs from damage. Like many other parts of the body, the bones replace old cells with new ones. Bone formation allows for the development of new and healthy bones. When this process in disturbed, the bones become weaker and more prone to damage. This condition is called osteoporosis. Researchers at the University of Colorado tested 10 healthy men for three weeks. During that time, the subjects stayed at a lab to be monitored. In order to mimic sleep restriction, the men were tasked with sleeping four hours later than they did the previous day. They were also only allowed to sleep for 5.6 hours per 24-hour period. Behavior like this is common for people who work late shifts or travel a lot. Odd work hours can force some to sleep at different times for short periods of time and people who travel are likely to suffer from jetlag. This sleep disturbance interferes with the circadian rhythms. This is our body internal clock, which tells us when we should sleep. The results of the study showed that after three weeks, all the men had significantly reduced levels of a bone formation marker called P1NP. “These data suggest that sleep disruption may be most detrimental to bone metabolism earlier in life when bone growth and accrual are crucial for long-term skeletal health,” she said. This study is a shining example of why people should try to get more sleep. The CDC believes sleep health is important and found that more than 25 percent of the U.S. population receives an inadequate amount of sleep. 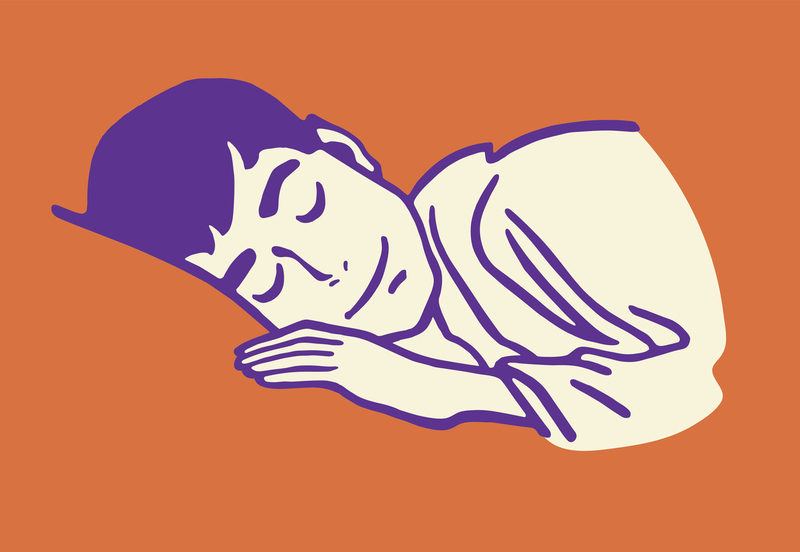 To find out how much sleep you need, visit the CDC’s sleep guidelines. A weekend camping can help with your sleep issues. Some people just have a hard time getting up in the morning. It happens often when you stay up or work late nights. This can be annoying, especially when you want to get your day started early. We use alarms and other tools to force ourselves awake but sometimes they are not enough. Scientists may have found a solution to these sleep issues – camping. Going to sleep late during the night can throw off your natural circadian rhythms. These rhythms determine our sleeping patterns – when we sleep and when to wake up. Any disruption in this internal clock makes it harder to sleep and wake up. Sometimes, it can even cause insomnia. Another negative aspect of going to bed past a certain time is that you lose sleep. The later you sleep, the less rest you receive before you have to wake up and do your daily responsibilities. Less rest means a weakened immune system, a lack of concentration, and other disadvantages. “Late circadian and sleep timing in modern society are associated with negative performance and health outcomes such as morning sleepiness and accidents, reduced work productivity and school performance, substance abuse, mood disorders, diabetes, and obesity,” says Kenneth Wright at the University of Colorado Boulder. Wright and his team discovered that the lack of natural light was the cause of these sleep issues. Electrical light and other devices infer with our body’s sleep cycle. By sending groups of people camping in warm and cold environments, the light exposure from the sun helps them wake up almost two hours earlier. Melatonin increases when the body is exposed to the sun. That increase causes the body to react and wake up early. The camping experience essentially reset their circadian rhythms back to normal. “Our findings highlight an opportunity for architectural design to bring in more natural sunlight into the modern built environment and to work with lighting companies to incorporate tunable lighting that would be able to change across the day and night to enhance performance, health, and well-being,” says Wright. If you ever feel like your sleeping patterns are off, then a nice, relaxing weekend in the woods might be what you need.